Young padawan on an epic journey to become a Jedi Master or just running around the office trying to catch up on your deadlines wishing you'd rather be a Jedi, we're with you. 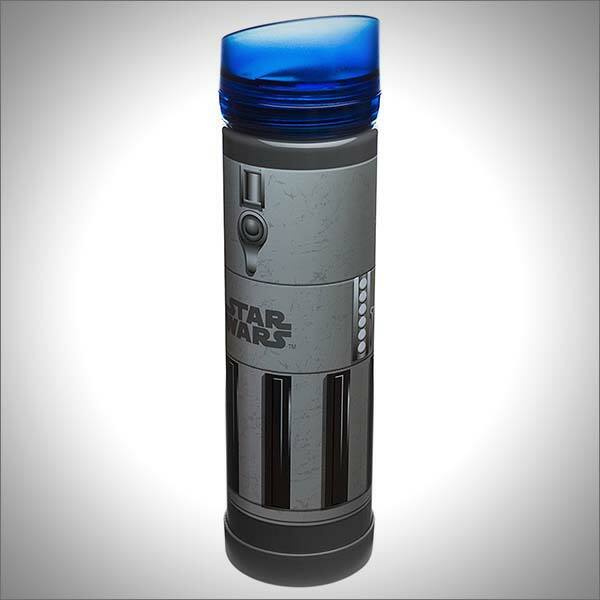 While this Anakin Skywalker's blue lightsaber water bottle won't slay your enemies or teach you mind tricks, it will quench your thirst and maybe push you to the dark side, maybe. Water bottle features a blue translucent anti-spill lid and is made of break resistant, durable, BPA-free plastic.